Global supply chains are growing and becoming more complex as consumer demand increases. This greater need for products, ingredients and raw materials directly translates into increased environmental impact. 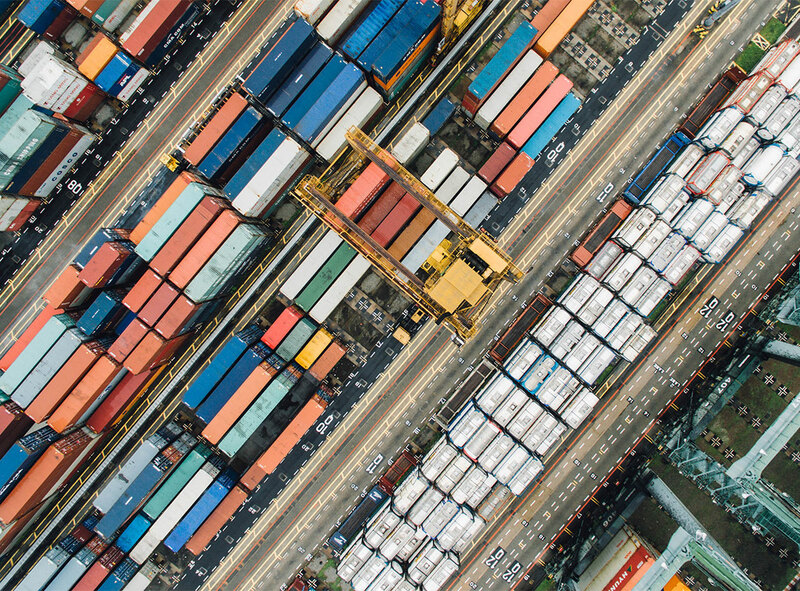 As consumers and organizations become aware of the potential damage caused by global trade and logistics, how can we develop more sustainable supply chains? One way that organizations can help to reduce the environmental impact of the supply chain is through the smart use of technology. In this article, we’ll explore some of the main changes you can make in your supply chain to improve environmental stewardship, reduce damage and ensure you’re sourcing, manufacturing and distributing products in a sustainable way. The environmental impact in the supply chain isn’t limited to greenhouse gas emissions. Water scarcity, issues with land use, toxic waste, water pollution, deforestation, air quality and energy use are all important considerations. Introducing more ethical and sustainable supply chains is good practice for any business. It will improve regulatory compliance, enhance business branding and reputation, reduce waste and overhead, and reassure consumers on ethical environmental sourcing. Let’s explore six key ways technology can reduce the environmental impact of supply chains. Misalignment between supply and demand results in too much or too little production of raw materials, manufacturing of goods or distribution of products. This creates rework and waste that all impact the environment. Artificial intelligence, machine learning and predictive analytics can predict likely demand and ensure much more efficient supply and manufacturing processes. Supply chains managers need visibility into how suppliers are extracting or producing raw materials to ensure they’re following sustainability standards. Blockchain technology is a useful way to capture and verify supplier sourcing practices and IoT devices monitor and report on working conditions and environmental factors. Until logistics moves to electric and other sustainable vehicles, route optimization is one of the best ways to reduce the environmental impact of transportation and distribution. Artificial intelligence can work with GPS devices to optimize international, national and local shipping routes. Advanced analytics can even update routes in real time to take account of congestion and other issues. An empty container is a wasted container. Predictive analytics can predict where and when goods are going to arrive and consolidate shipments from multiple suppliers going to multiple final destinations. This makes the most efficient use of assets (i.e., containers, trailers, etc.) and transportation, reducing the total amount of greenhouse gasses generated per unit of cargo. Many supply chains are already impacted by climate change and other environmental factors. Issues like wildfires on the west coast of the U.S., rising sea levels, water scarcity or lower agricultural yields have a profound impact on the efficiency, quality and speed of the supply chain. Supply chain technology helps to predict these risks and allows supply chain managers to mitigate the impact and put contingency plans in place. Supply chains can be improved through major changes, but it’s more common to see results through small, iterative improvements. Good analytics and reporting works with machine learning to continually improve processes throughout the supply chain. Every change that slightly reduces waste, speeds up delivery or enhances quality can make a tiny, incremental improvement to sustainability. 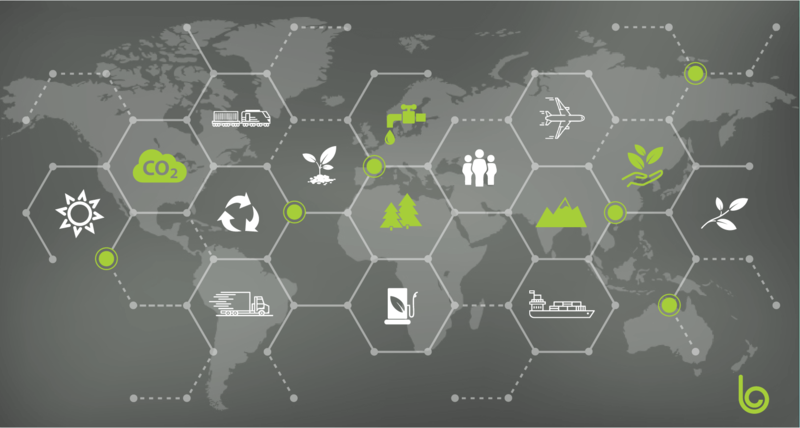 The environmental impact of supply chains will continue to be a major issue for supply chains, with organizations and consumers becoming more aware of how goods are sourced, manufactured and distributed. A forward-looking supply chain strategy combined with the right technology solutions will help organizations build more sustainable, responsible and ethical supply chains—and that’s good for everyone. Learn how Blume Optimization maximizes asset utilization, minimizes empty miles and reduces carbon emissions.